How To Fill Toddler’s Time When Transitioning to One Nap. What to do with the schedule when you are at one nap a day. Activities to do with your toddler. Moms often dread that moment when the morning nap is officially dropped. What are you possibly going to do all morning long with your child? And how are you going to get the things done you used to get done during that nap time? When my oldest, now age 13, was about to drop that nap, I dreaded it. My time was spent sleeping during his morning nap since I was pregnant with his little sister and there was no way I was going to be able to nap while he was awake. I have to say, however, that having lived through dropping that morning nap four times now, I absolutely love the morning nap being dropped! By the time my third child was there, I knew to be excited and by the time my fourth child was there, I was singing hallelujahs about saying good-bye to that pesky morning nap time. I know it might not seem possible, but life gets easier with just one nap a day. Here are some ideas for you to do during that morning stretch between waking up and nap time. 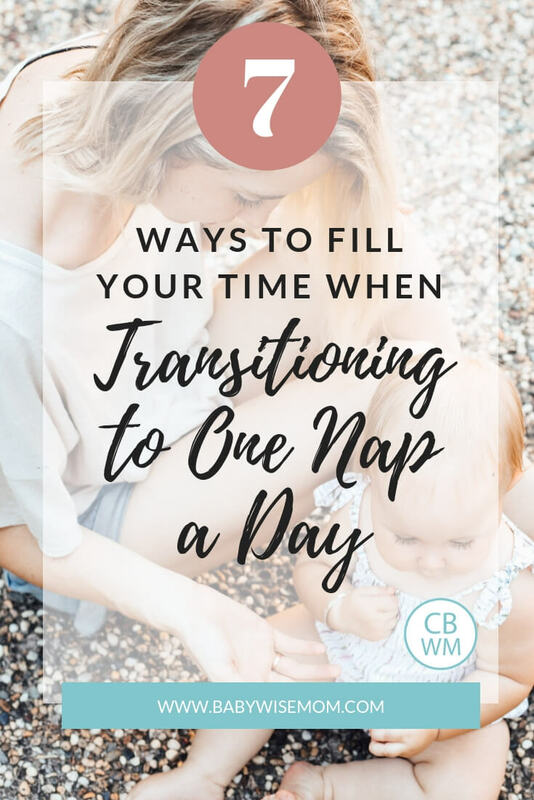 When you transition to one nap each day, here are some ideas to do with that morning time slot that used to be nap time. When my kids go to one nap a day, they move to 1-1.5 hour long room time and are able to have it almost every day (unless we are going out). We are able to leisurely get ready and then do independent play, then still have time for other things before lunch time. Independent play is so beneficial and it is easiest to implement when you can be consistent about it. You can learn more about independent play in my post Independent Playtime Overview. While most of the things in this list won’t be done daily during this morning time slot, I highly recommend you make Independent Play a thing almost every day of the week. Without a nap looming so close-by, you can allow your toddler to take a nice, long bath. Get a few fun toys for your child and just let your child have fun. What do you do with that time? Organize the bathroom very well. Read a book. Read your scriptures. Browse social media. Soak your feet. Take cute photos of your little one taking a bath. Use it as a time to do something that relaxes you. Enjoy the moment. Get this. You are now able to go run some errands in a longer window than approximately 2-3 hours. 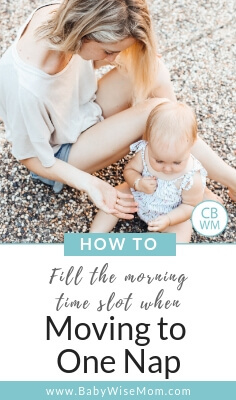 You can take one day a week and get ALL of your errands run in that one morning. One day. One outing. Some tips for this–plan ahead and bring snacks. Your toddler is still a toddler. Bring a sippy with a drink and some snacks to eat along the way. Bring a few books to look at in the car and maybe a couple of toys. My youngest two were able to do these long errand days–my older two had babies at home so my life was still spent in short spurts leaving the house. But my younger two loved it and have grown to be excellent shopping buddies. Spend the morning at the park. Go to the zoo. Go for a long walk. Go swimming or sledding. Get together with other toddlers and moms for a play date. You now have this long stretch of time you can enjoy life in. The same tips apply here as I mentioned in run errands. Bring a snack. Be prepared with things for being gone from the house for several hours. I love doing learning time with my little ones. They soak it up and love it even more than I do. With one fewer nap each day, you can easily fit in this learning time with your child. Your child is now old enough to start helping more around the house. Chances are good that you did a lot of chores while your little one was napping. Instead of doing that, do the chores with your little one. Yes, your toddler will make it harder in most cases. 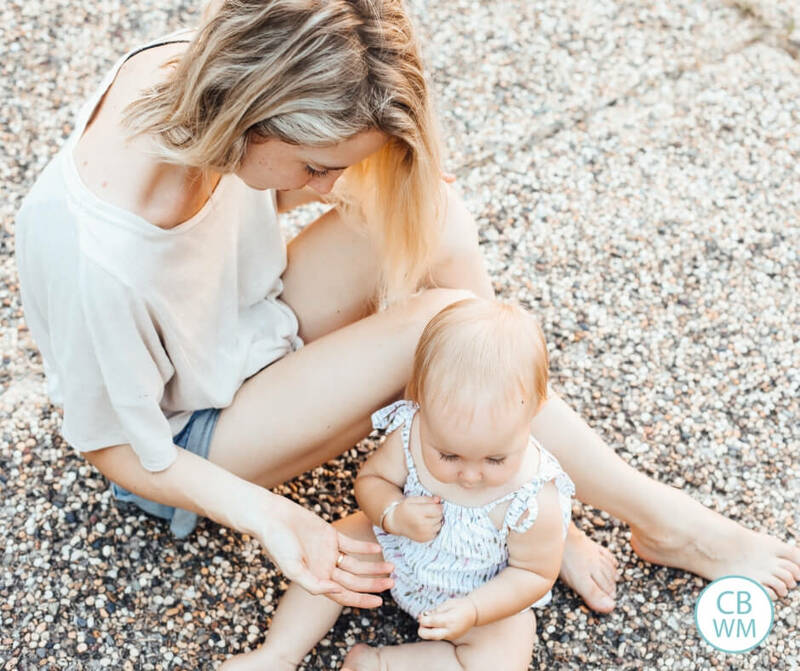 But your toddler will also learn how to help and will be actually helpful sooner than you know. My oldest was vacuuming rooms independently at age 3, and doing a good enough job that I didn’t feel compelled to vacuum later when he wasn’t looking. Whatever you are doing, think of a way to involve your child. Have her help fold the laundry. Give her a rag and have her dust along side you. Give her things to put away. Have her wipe base moldings. She can be helpful, or at least believe she is being helpful. If your toddler has an older sibling, you can set some special time aside each day that is designated as playing time. You can read more about this here. You will have an adjustment period, but you will soon find the day actually goes smoothly when you have just that one nap. The one nap each day should get longer, so you have a longer stretch in the afternoon to get things done. You will find ways to fill those morning hours in no time and it will seem like this is the way life has always been. Dropping the morning nap and transitioning to one nap a day does not need to be something you dread. It really frees up your daily schedule and allows you to do so much more! Do you have any tips on what to do for twins? For this time period? Or just in general? During this time period, all of these things would be great for twins, too. You could also add in some sibling play with your twins.